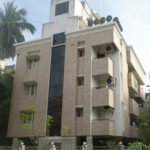 GG Hospital receives over 60,000 patients annually for treatment, of which some come from outside Chennai. 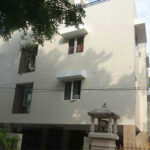 They have currently four apartments, acting as safe harbor for patients coming to Chennai for decades now. 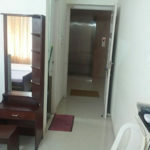 We provide deluxe, semi-deluxe & fully furnished service apartments at affordable costs. Each consisting of a wide array of amenities making you feel at home away from home. Our Travel desk services are available with 24 hour cab service in Chennai with a large fleet of four wheeler, including small and big cars and vans. Easy booking and reliable service. Embassy Travel and Tours has been in the business of tailoring unique and memorable travel experiences for the past four decades. A part of the Airlift Group of Companies, we adhere in a personalized manner to all travel related services that one might require be it guidance, documentation, reservations, currency exchange etc. Customization and luxury travel is our forte, which ensures the utmost comfort for our clients whether it is outbound, inbound or domestic travel. The strength of the organization is its ability to match customer expectation with the best possible current available options in the price band indicated. This success is due to the intimate knowledge of various categories of hospitality service providers and personal experiences to validate the same. This has ensured a very high customer satisfaction and encouraged a strong brand loyalty. We are confident of going beyond professional duties to ensure excellence in meeting the expectation.